Macquarie Hand Unit provides integrated care for people with musculoskeletal and peripheral nerve disorders of the hand and upper limb. We provide a comprehensive approach, whether the condition is the result of trauma, arthritis, nerve compression or occupational injury. With our team of Fellowship trained Hand Surgeons, qualified Hand Therapists, and internationally qualified specialist staff, we focus on preventing impairment, restoring function and enhancing our patients' participation in life. It is the principle of our Unit and of the Macquarie University Hospital to provide the best clinical outcomes for our patients. This is achieved by advanced clinical care, teaching, and research while working in a collaborative team envrionment. 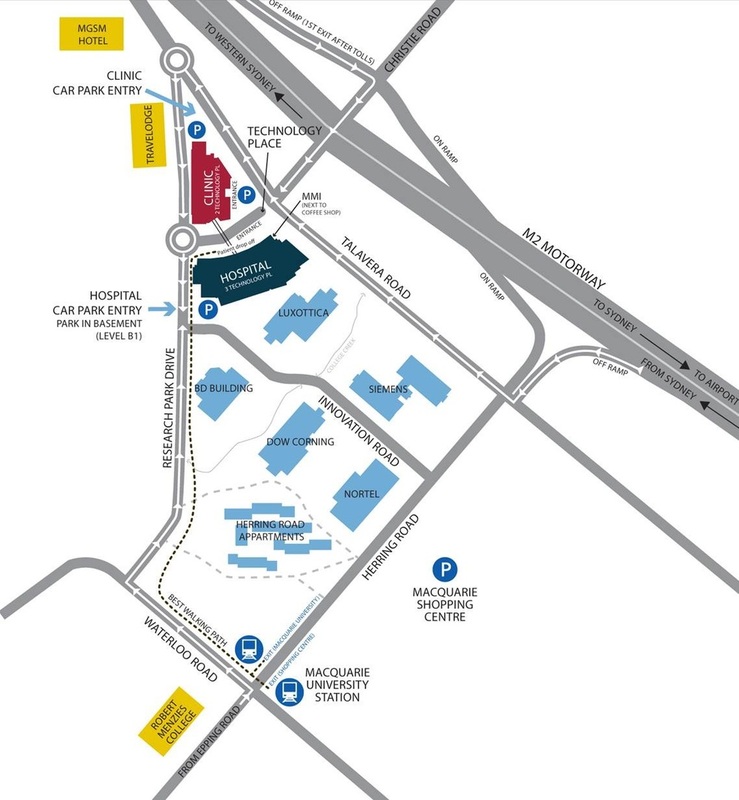 PLEASE BE AWARE THAT THERE IS NO VEHICULAR ACCESS FROM TALAVERA ROAD TO TECHNOLOGY PLACE. Follow the arrows on the map to access either the underground hospital car park, or clinic parking area at street level.